The Maumee Spit harnesses the natural force of Toledo’s Maumee River to create a research-driven sediment economy. 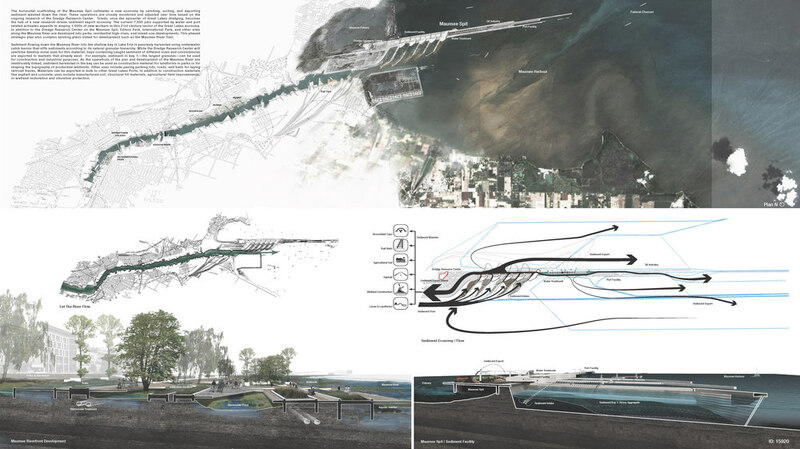 Rather than resisting this flow of sediment, our proposal harnesses the exceptional natural force of the Maumee River by halting dredge operations and catching the sediment in the Maumee Spit. Dredging is stopped between River Mile 0 at the mouth of the harbor and its current upstream extents. 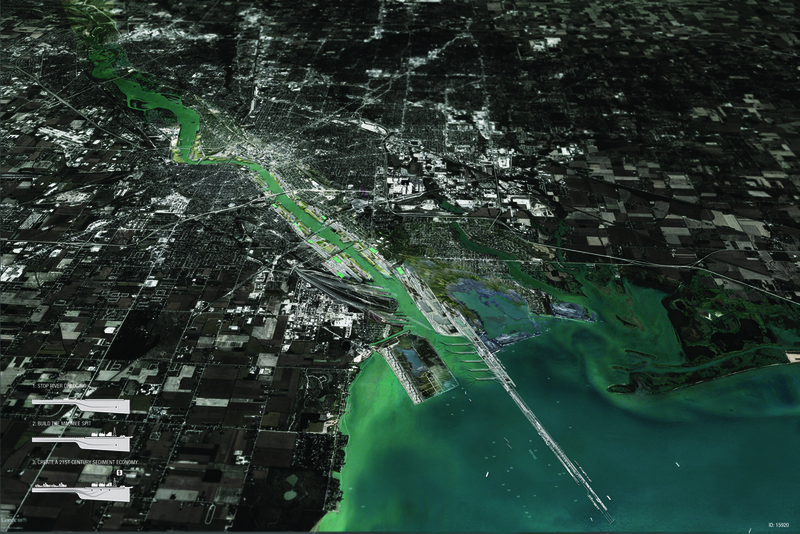 As sediment builds up in the river and 20th century industry continues to diminish, the 21st century industrial Maumee Spit gains prominence by facilitating a new sediment economy. Formerly industrial sites along the Maumee River in central Toledo are urbanized in an ecologically sensitive manner. The horizontal scaffolding of the Maumee Spit cultivates a new economy by catching, sorting, and exporting sediment washed down the river. These operations are closely monitored and adjusted over time based on the ongoing research of the Dredge Research Center. 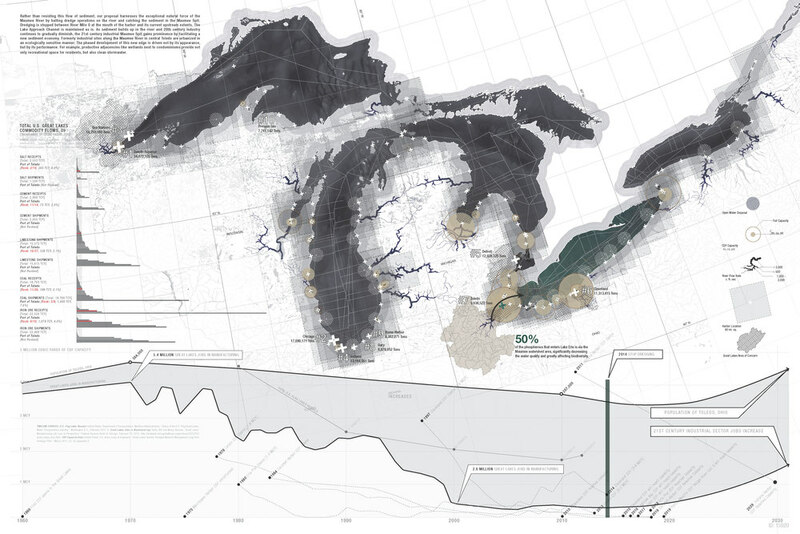 Toledo, once the epicenter of Great Lakes dredging, becomes the hub of a new research-driven sediment economy.